With a little under six weeks until Piglet makes her appearance I’m making preparations at home for her. My first priority is sleeping arrangements for when she is newborn, with different newborn sleeping options available I have researching to see which is the best solution for us. 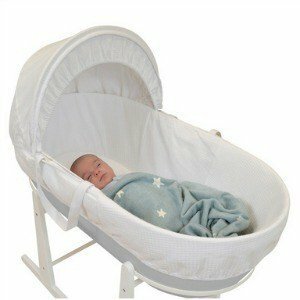 The most popular option for newborns is a moses basket on a stand that can be moved from room to room as necessary. Traditional wicker moses baskets have been used by parents for years however as they creak and make a noise when baby moves it can disturb baby’s sleep (and nobody wants that) plus they can feel a little flimsy when carried so I’m not sure I’ve never carry a baby in one. There are new updated moses baskets available like the Shnuggle Basket which is made with a super strong, extremely durable and flexible plastic shell that is not only easy to clean but doesn’t make a noise when baby moves, and paired with an air-flow mattress it makes for a comfort nights sleep for baby. A traditional crib offers baby more space and is likely to last longer than a moses basket. Cribs however do take up more space within a bedroom so might not fit well in everyone’s home. As they are a piece of furniture they aren’t able to be moved easily so you might require an additional place for baby to nap in during the day downstairs. The Silver Cross Nostalgia Crib offers that traditional, timeless crib design that will not only offer your baby somewhere luxurious to sleep but is a beautiful piece of nursery furniture that you could pass on to family or keep for when you have grandchildren come along. For those parents who are looking to co-sleep or have he flexibility between co-sleeping and stand-a-lone crib a bednest might be the option. The Snüzpod offers the desired flexibility between having baby close by in a bedside crib but also the option to drop down the side and bring baby into bed with you for night-time feeds etc. 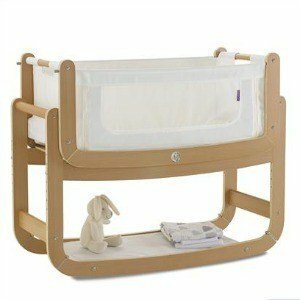 As the bednest is also easily detached from the stand it can be moved around the home easily providing a good mix between moses basket and crib. 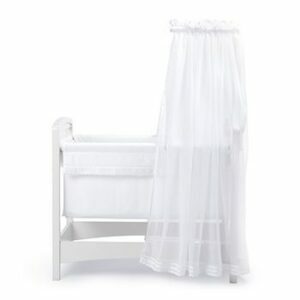 What newborn sleeping arrangement did you opt for with your newborn?